The days leading up to your wedding are going to (unsurprisingly) be a flurry of activity, stress, and excitement. You will probably begin to understand why some couples just think, the heck with it all, and decide to elope. But it’s probably a little too late for that now. Soon the most exciting day of your life will be upon you, and then it will be time to escape on your honeymoon. If you’ve made the brilliant decision to have your honeymoon in Havana, your mind is probably already wandering ahead, thinking about sun-drenched beaches and multiple mojitos, when it should be focussed on seating charts, floral arrangements, and how you can keep your aunt Agnes away from the open bar. But soon this excitement will give way to the dreamy quality of finally being married to your beloved. And then it will be time to board the plane to Havana. What are some of the magical moments you can expect on your honeymoon in Cuba’s astoundingly amazing capital? To see the highlights of the city without too much effort, you should consider the romanticism of one of the vintage cars that have pressed into service as a taxi. It allows you and your new spouse to quickly gain an overview of the city in order to work out which parts you’ll want to explore in depth. It’s a romantic way to see Havana… to a point. Remember that these cars truly are vintage, and so luxuries such as air conditioning and well… shock absorbing suspension are not going to be on offer. Still, it’s a memorable journey for you and your partner. Avoid any shared taxi services where the cars drive a predetermined route, and as long as there is room, anyone can get in. The romance factor fades when you need to share the ride with strangers. 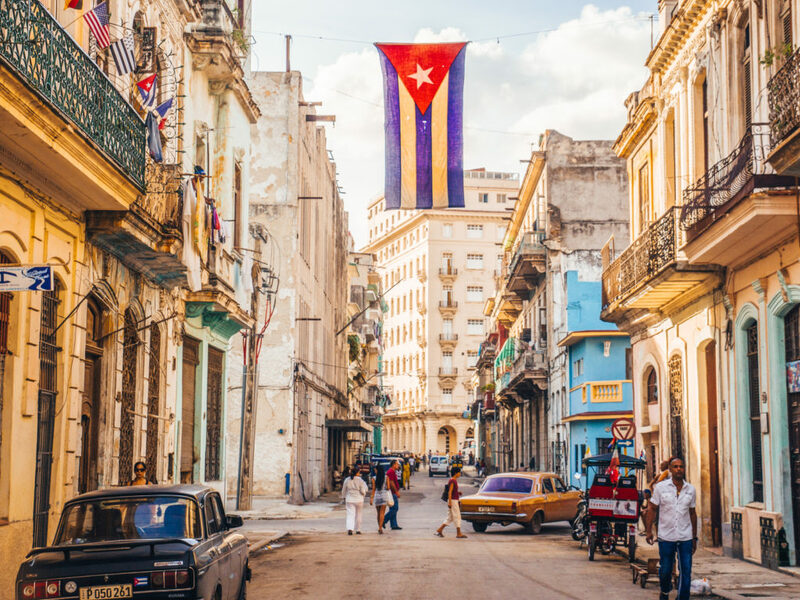 Certainly, there’s going to be a lot of strolling through the streets of the city, but it’s your honeymoon in Havana, so you’re probably not going to want to take a relentless march around Havana with a grim determination to inspect every nook and cranny that the city has to offer. The rooftop bar is a fairly simple concept, but it’s no less lovely for it. It’s also a truly fantastic idea in Havana, where the weather just makes it seem like a sensible way for you and your beloved to sit and watch the city from above. Try La Guarida (418 Concordia, La Habana), La Terraza (Prado 309 Esquina Virtudes, La Habana Vieja), as well as the rooftop bars at the Hotel Saratoga (Paseo de Martí, La Habana), Hotel Ambos Mundos (153 Obispo, La Habana) or the Iberostar Parque Central (267 Agramonte, La Habana). When you think of those world famous beaches proudly displayed in tourist advertisements for Cuba, it would be odd if you didn’t want to experience that for yourself. Crisp white sand, placid waves gently lapping on the shore, with the sun bouncing off the azure waters that seem to stretch forever. It’s so perfect it could almost be annoying! There’s no reason why you can’t enjoy the tranquil waters of the Caribbean while on your honeymoon in Havana, although the best-known beachside resorts are located in other parts of the country. But while the beaches around the Cuban capital have not become one of her calling cards, they are still utterly sublime. Santa María del Mar is one of the more popular, but it can often be a victim of its own popularity. Enjoy the crowds and the atmosphere, but it’s perhaps not a great bet if you and your beloved want some time alone. Head a little further along the coast to Playa Boca Ciega for some privacy. Public transport serves these (and other) beaches, but you’re better off making the relatively short trip in a taxi. 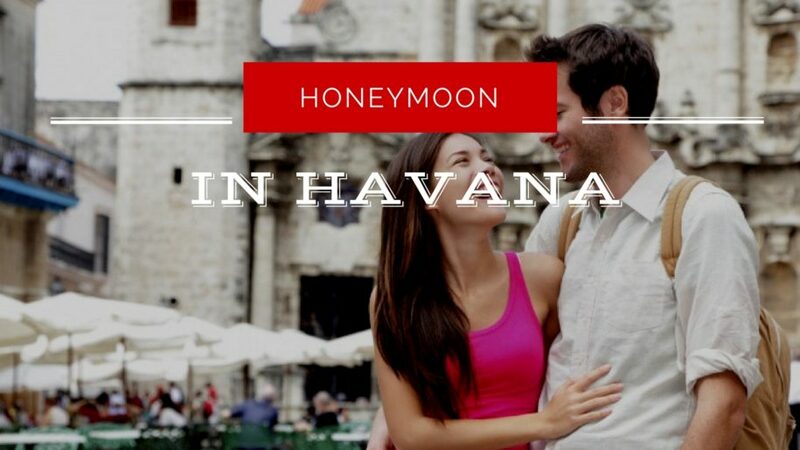 Depending on how much time you have to play with on your honeymoon in Havana, you should take the chance to get out of the city, if only for a day. There are a few scintillatingly interesting destinations that are all easily accessible from the capital. Viñales (approximately 2.5 hours from Havana by road) is a rustic township in a lush green valley, allowing you to see the quaint, rural side of Cuba. It’s here that a large proportion of Cuba’s tobacco is grown in the fertile, red earth. Las Terrazas (approximately 1 hour from Havana by road) translates as “The Terraces” and is a community comprised of hundreds of terraces carved out of the hills. It’s a UNESCO biosphere preserve, and the area was once decimated by over farming. This was mercifully reversed and much of the foliage was restored. It now offers a charming and quiet way of life, and you can see why many artists have chosen to live and work in the area. Varadero (approximately 2 hours and 20 minutes from Havana by road) is a typical beachside resort, and many of the beaches are in fact privately owned by the resort hotels dotted along the shore. It demonstrates the pure tourism side of Cuba, and while this is interesting, you might find yourself to be more enchanted by the actual town of Varadero, which is a beautifully typical seaside village that can be deceptively lively. Do you have any questions? Just leave a comment.